The beginning of the year traditionally kicks off with the CES show in Las Vegas, which often leads to a lot of US-centric handsets being launched this month. The problem of how to type text on a phone has always been a thorny one, Nokia's idea was to use a sort of "butterfly" keyboard. 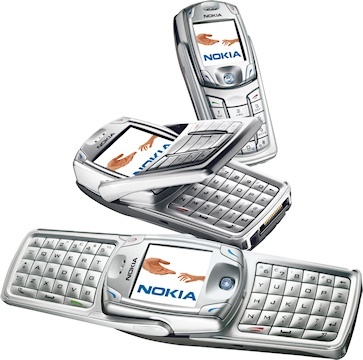 The Nokia 6822 was another attempt to popularise this type of design, but it didn't really catch on. 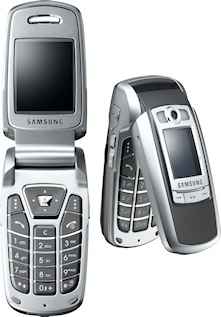 Samsung were masters of the clamshell phone, and the Samsung E720 was an understated but quite powerful example, featuring an MP3 player with built-in media controls on the outside and it also marked a change of direction for Samsung who finally included Bluetooth. Motorola always used to be have a strong presence at CES, and this was certainly the case this year. 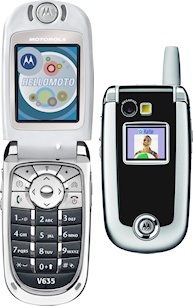 The two most interesting devices they launched were the attractive Motorola V635 clamshell phone, and the Motorola C698p which featured walkie-talkie style Push-To-Talk (PTT) which was another technology that never really caught on. Five years ago the Android market was beginning to grow rapidly, but all manufacturers were trying to make it their own with different skins and software add-ons. 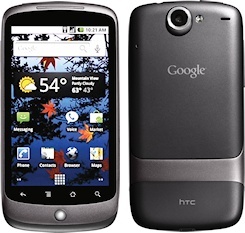 The Google Nexus One was Google's attempt to give consumers a handset that was free of all these additions and to create something that gave a pure Android experience. Nexus owners would also get earlier software updates, and get them for longer. The Nexus was quite successful and its successors are still around today. Smartphone design can be quite dull, with a tendency to produce black or white slabs with no character. The Android-based LG Optimus GT540 was certainly a much more interesting design and was a good attempt to differentiate a product which was a bit dull underneath. Despite the looks, it seemed that consumers were quite happy with their slabs after all. Another Android phone - and another phone trying to include a QWERTY keyboard in the design - the Motorola BACKFLIP had a clever hinge arrangement that flipped it between a device with a keyboard and a more conventional tablet. You can gauge the success of this idea by the fact that physical keyboards are essentially extinct today. Not every smartphone launched this month was an Android phone. The Sony Ericsson Vivaz ran Symbian, but despite an attractive design this was almost Sony Ericsson's last Symbian device. And underwhelming specification and an unappealing cheap touchscreen didn't help. 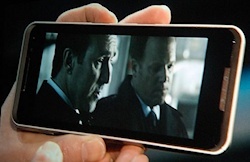 Just in case you thought that HTC only made Android and Windows smartphones, here is something rather different. 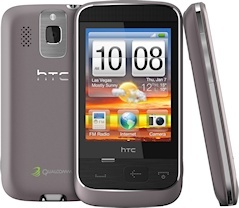 Running its own "HTC Sense" platform based on Qualcomm's BREW environment, the HTC Smart attempted to bring smartphone-style features to consumers on a budget. It was not a success. 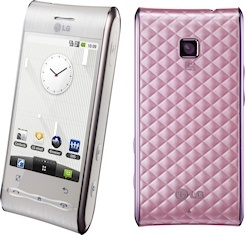 The LG GW990 was announced five years ago this month. Running the Intel-backed Moblin operating system, the GW990 also packed an Intel CPU inside and it was envisaged that there would be an LTE variant. Moblin was a version of Linux, functionally similar to Android or iOS, but the GW990 never came to market and Moblin eventually merged with Maemo to become the ill-fated MeeGo operating system.